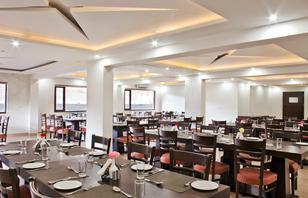 The hotel is located on Bhimtal Bhowali Road in Bhimtal. About 2 km from Bhimtal is Nal Damyanti Tal, a small natural lake. It is a sacred place for the dwellers of the region. At a distance of 5 km from Bhimtal is the famous group of lakes known as Sattal . 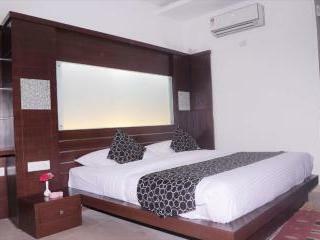 The hotel is 27.2 km away from the Haldwani Railway Station and 52.2 km away from Pantnagar Airport. The hotel has 47 well-equipped rooms that are divided into three categories, namely Lake View Rooms, Valley View Rooms and Cottages. The rooms have amenities like cable television, electronic safe, mini bar, tea/coffee maker with a sitting area and continuous hot water supply. 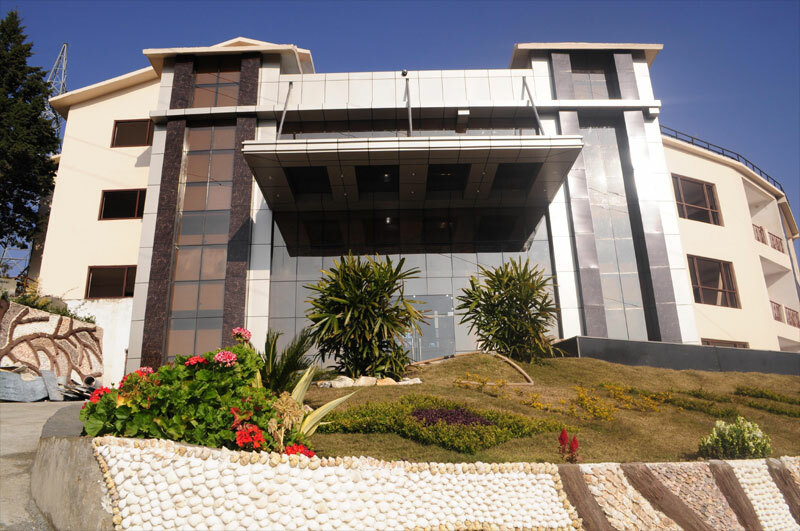 All the rooms feature a balcony from where guests can enjoy panoramic views of the lake and surrounding hills.On-site multi-cuisine restaurant is headed by talented chefs, who serve sumptuous delicacies from Indian, Continental and Oriental cuisine.The banquet hall is well-equipped for organizing business meetings or social gatherings.